the only SECRET there is! There are 150 OTHER Universal Laws of Success and Achievement. And each one has the power to transform your life in ways that will amaze and astonish you. Read on to discover the rest of these "forgotten" laws... and find out how you can use them to EFFORTLESSLY and INSTANTLY achieve incredible results in your finances, career, relationships and more! If your knowledge of the universal laws of success is limited to the Law of Attraction - the one that gained worldwide attention through The Secret film and book - then you don't know nearly enough of the story. I'm writing to you today to help change that. The Law of Attraction is undoubtedly one of the most powerful forces in the universe. But there are actually many, many others. These "forgotten" success laws govern, explain and predict outcomes in very specific areas of life - everything from business, sales and negotiations, to love and relationships, to money and wealth creation, and more. The more of them you know and apply, the greater your success will be. And there's one person who has spent more time studying and understanding the full story of human success than perhaps anyone else alive today. Get ALL of the natural forces of success working in your favor! Being successful and achieving the things you want in life - wealth, fulfillment, love, happiness - is a remarkably easy thing to do. It is simply a matter of harmonizing your life with the Universal Laws of Success and Achievement. These laws - which include the Law of Attraction - govern the universe in exactly the same way as do natural laws, such as gravity and thermodynamics. They are always operating and affecting your life at all times, whether you are aware of them or not. They hold true in up times and down times. In good economies and bad. Unsuccessful people, on the other hand, are unsuccessful because they either ignore these laws, or don't know about them. Can you imagine how dangerous and potentially disastrous the world would be if you didn't know that paper burns if it gets hot enough... or that if you step off a ledge, you'll drop straight to the ground? Well, if you aren't aware of the Laws of Success and Achievement, the world is just as dangerous. Without knowing it, you are constantly running the risk of sabotaging yourself, undermining your desires, and doing the absolute wrong thing in pursuit of your goals. You are truly flying blind. So you can see why it is so crucial to become aware of these laws. Understanding them lifts the veil on the mystery of success. You'll know exactly what to do - and just as importantly, what not to do - in order to get what you want. ALL of the 151 laws that govern nearly every facet of life! The Law of Assumption: Completely counter-intuitive ... and a guaranteed way to avoid failure! Once you discover these laws and begin to consciously think and act in harmony with them, you will feel the results immediately. Your life will feel easier and less stressful. Things you struggled to achieve before will suddenly come to you easily, with almost no effort at all. It will feel like magic. But it isn't. It is simply what happens when you finally become fully aware of and harmonized with the laws that govern human success. The incredible thing about the Universal Laws of Success and Achievement is how very specific they are. There is a law that is applicable in nearly every situation you're likely to find yourself in. That's why Brian created a Personal Power reference guide to help you apply these life-changing laws. When you order The Universal Laws of Success and Achievement, you'll also receive this guide absolutely free. It lists all 151 Laws with a brief explanation of each, organized according to category: Business, Money, Happiness, etc. It is included as a special bonus within the Workbook on CD. Refer to it any time you face a crucial decision, frustrating problem, or any other sort of challenge. 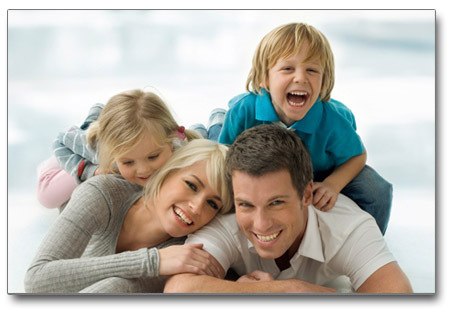 You'll find an immediate solution guaranteed to turn events in your favor. Create predictable, effortless, consistently successful results in EVERY area of your life! Success is all but inevitable once you step into harmony with the Universal Laws of Success and Achievement. And the sooner you learn them, the sooner it will happen. So don't delay! Click on the link below to order Brian Tracy's groundbreaking program today. P.S. The worldwide phenomenon that is The Secret film and book has done something tremendous. By introducing millions of people to the Law of Attraction, it has created awareness on a mass scale of the fact that people truly can control their own destinies. It is extraordinary. But it isn't enough. Not when there are so many other laws at work in the universe that are equally powerful and empowering. Today, you have the opportunity to put ALL 151 Laws of Success and Achievement to work for you to guarantee the life you want. YES, I want to learn ALL of the 151 laws that will impact how much I make, how far I advance in my career, how much I appreciate my life, and how I live every day. 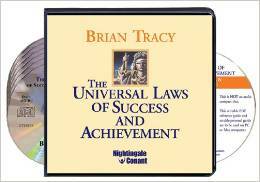 Please send me Brian Tracy's 8-CD program The Universal Laws of Success and Achievement - including 8 CDs, a Workbook on CD, which also includes the FREE Personal Power Guide - for just $69.95, which is 76% OFF the regular program price of $299.95! Take advantage of this limited-time special discount now! If within 30 days, I have not significantly changed my life as a result of these laws, I will simply send it back for a full refund. No questions asked.